I'm on the road to Melbourne this week. I am staying here for a couple of days to work on editing the images of the Bowden Archives book with Stuart Murdoch. He has kindly volunteered to help me. I am just too close to the work. 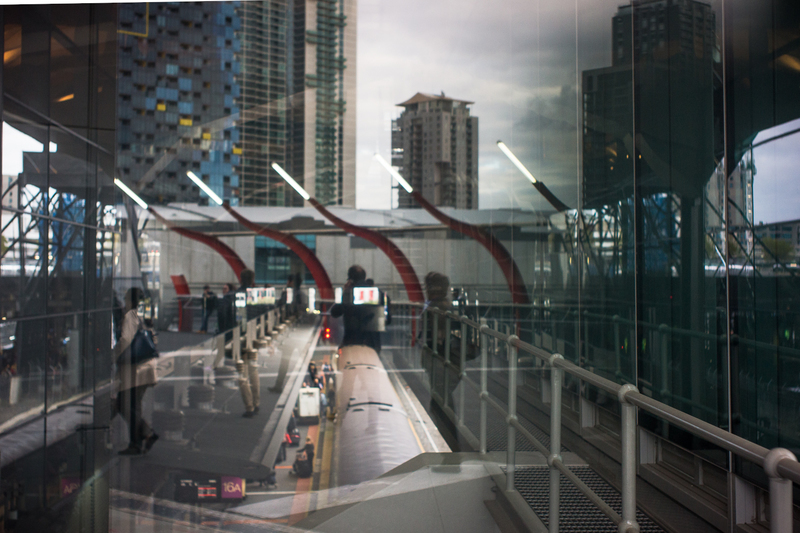 I was waiting to meet some friends in Richmond and I had a hour or so to take some photos around Docklands. I was on the early am flight when I flew out of Christchurch to Adelaide via Melbourne. We left Christchurch as the sun was rising over the Canterbury Plains. 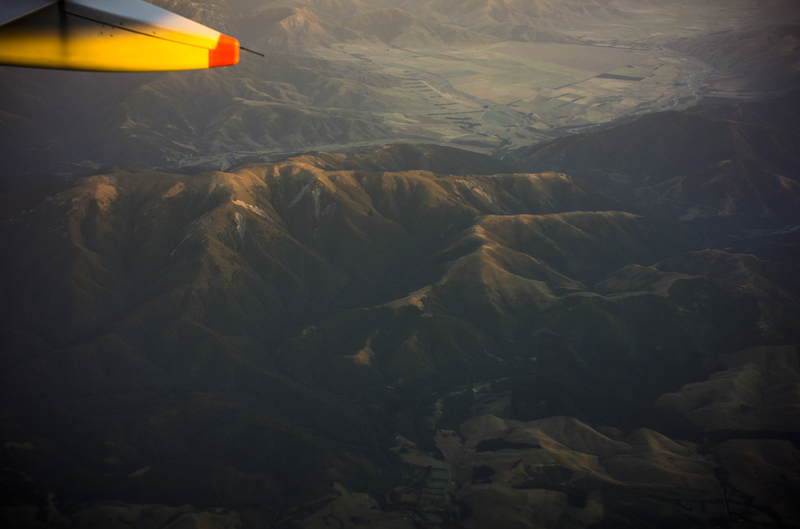 The early morning light flickered across the tops of the high country before as we fly over them before crossing the Southern Alps on our way to the West Coast of the South Island. I was very fortunate to see the early morning light over the high country though which the Waimakarri River flows on its way to Peagasus Bay in the Pacific Ocean. 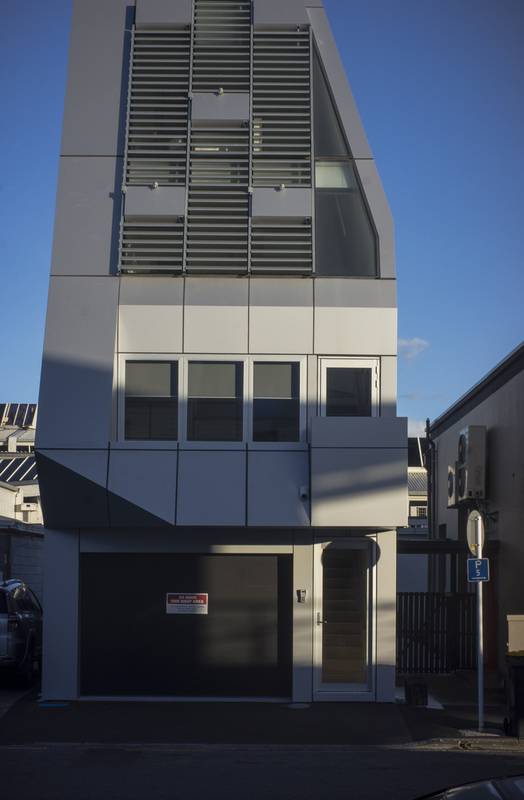 Re-Start is a temporary mall built from 64 shipping containers in Cashel St in the CBD of Christchurch, New Zealand. It was a response to the 2011 earthquake, and when I was there in early 2017 Re-Start --basically a pop up mall---was a very successful, people gathering place. The containers were bright and colourful and the place had a funky, vibrant vibe. It was such a contrast to the rest of the CBD. Re-Start's days are numbered. The place is due to be closed down on Sunday, April 30, as its role as a transitional space is complete as the new CBD retail spaces come on stream. I understand that there will be a permanent Farmers Market. 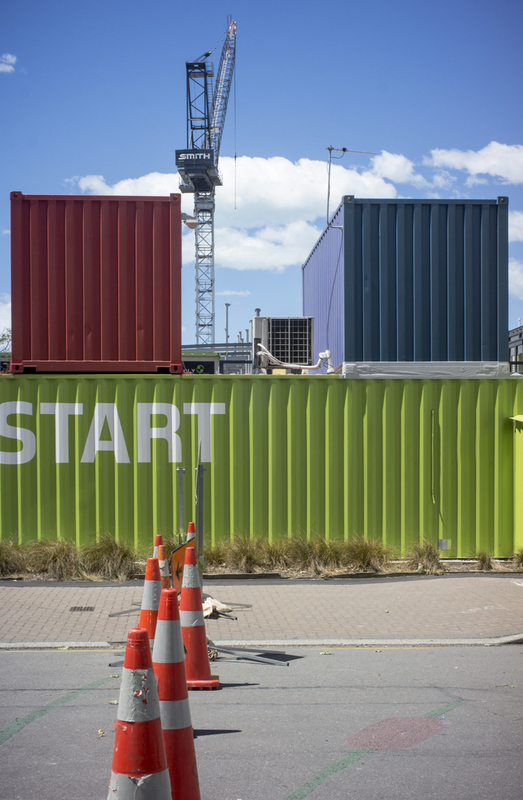 The story of Christchurch’s iconic transitional shipping container mall is being farewelled with with a farewell photography exhibition-- 61 Days to Re:START: An Exhibition in Photos. Unfortunately none of the photos in the exhibition are online. 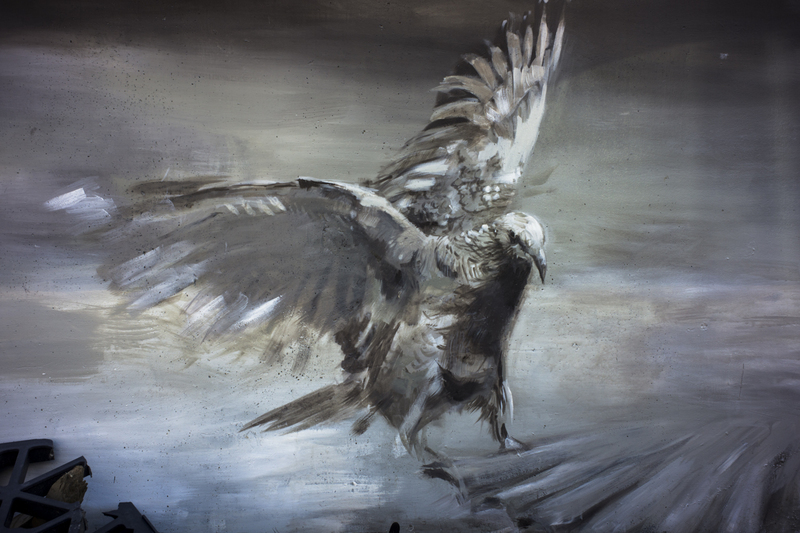 This eagle mural (by DALeast?) is one of the many murals that I saw around the CBD whilst I strolled around. The quality of the work Christchurch suggested that international artists as well as New Zealand’s street artists. Is that the result of street art festivals since the 2011 earthquake? I had spend the morning wandering around the CBD thinking that I should come back and photograph what I was seeing by way of a destroyed city. In February, just before going to Tasmania, I dashed over to Christchurch, New Zealand, to attend my mothers' funeral. She was 97. I stayed in a motel in Papanui Rd, Merivale with my sister. In the early morning I would walk down to the local shops to have breakfast and I would take a few snaps along the way. Merivale is one of Christchurch's more upmarket suburbs. In contrast, to say Sydenham, it is where the old money is. It didn't seem to have been that badly damaged by the 2011 earthquake. 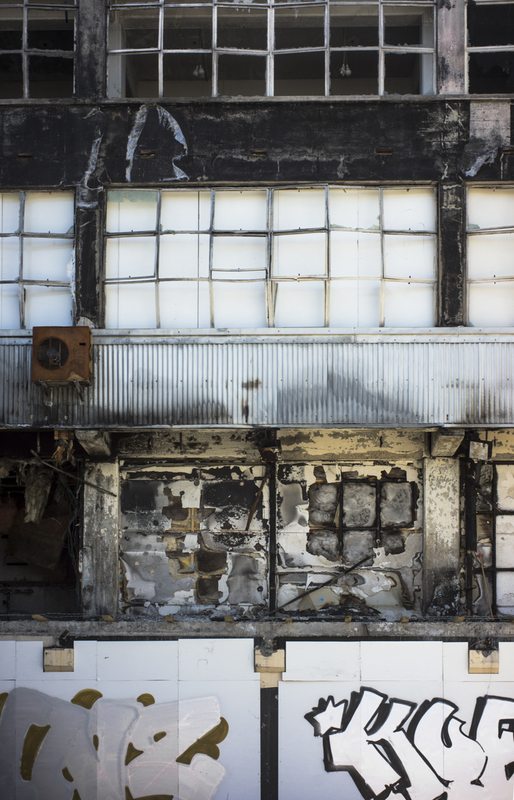 Or if it had, then the insurance money flowed in quickly to repair the damage to the buildings. I have just returned to Victor Harbor after spending 2 weeks in Tasmania. The first week was spent photographing on the south west coast of Tasmania whilst Suzanne walked in The Walls of Jerusalem National Park and the second week was spent being tourists primarily in the Tasman Peninsula, south-east of Hobart. Our base was in Tunbridge in the Midlands which I briefly explored between weeks 1 and 2. 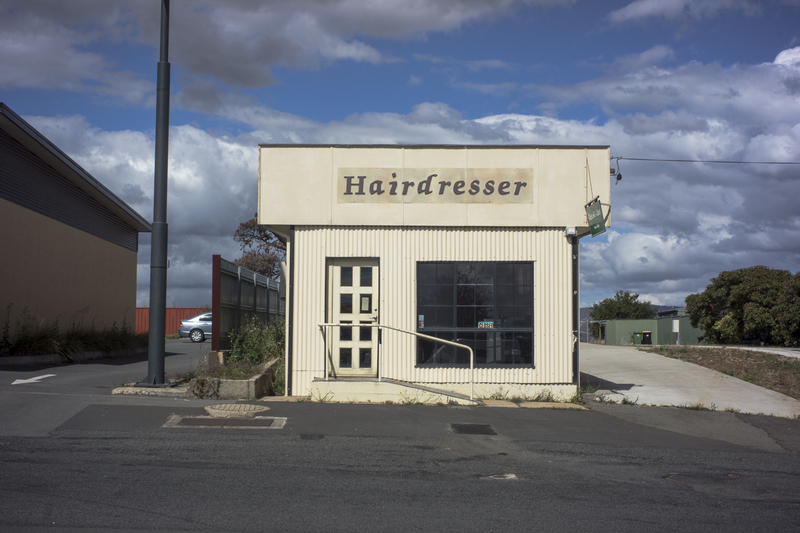 This building was in Campbelltown which is about 20 kilometres north of Tunbridge on the Midlands Highway. One coastal subject matter that I had started to explore was the dried salt ponds among the rocks along the coast west of Petrel Cove. I had started to scope them with a digital camera. 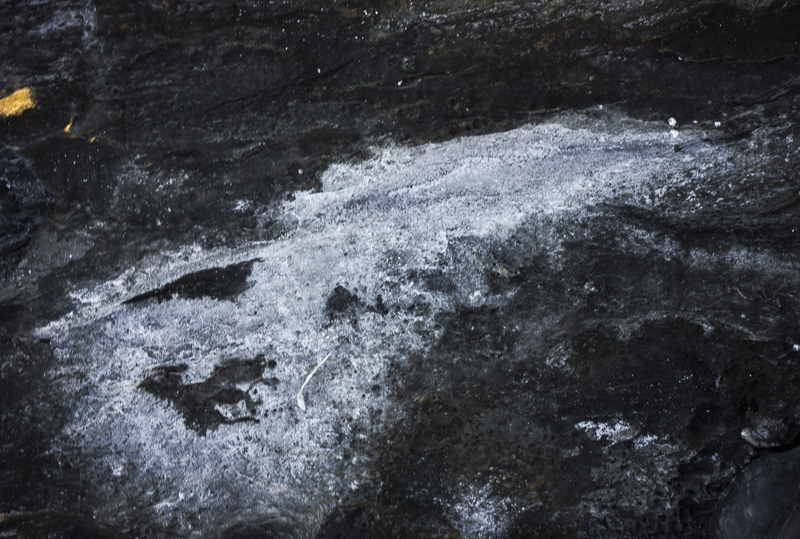 Then I saw the photograph of salt ponds by Christopher Houghton made with a 5x4 camera and decided to photography the ones I'd seen in black and white. I quickly found them to be very ephemeral--there in the morning, gone in the afternoon. So I spent several days on the various poodle walks looking for permanent saltponds in different locations along the coast. I found a couple and I was ready to go back with a medium format camera. Then the rains cam after Xmas. It rained for several days and the permanent salt ponds that I had discovered were washed away. A week has passed, and though I have been back every day, the salt ponds have yet to return. 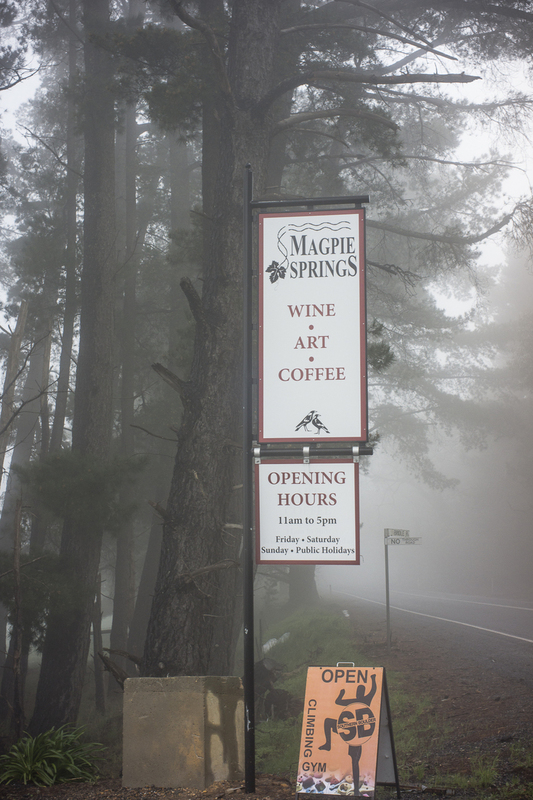 The Weltraum exhibition at Magpie Springs officially opened on Sunday, 11 September. Although the Shimmer Photographic Biennale closes at the end of September, the Weltraum exhibition remains open until early November--Sunday, November 6th. 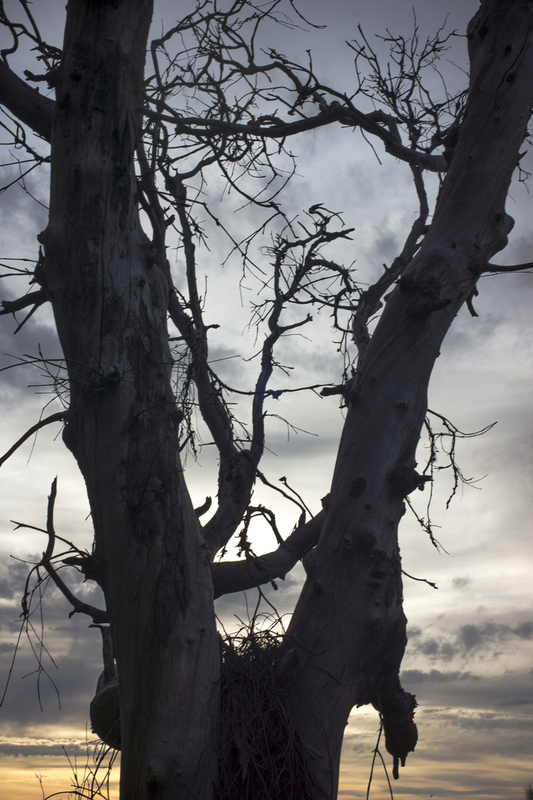 I now start preparing for work for both the Abstraction x 5 exhibition at the Light Gallery, which opens on October 1st with its book launch; and then the Mallee Routes exhibition with Eric Algra and Gilbert Roe, which opens at the Atkins Photo Lab gallery on Friday, October 7th. It's a case of one exhibition down, two exhibitions to go, with the photography budget collapsing under the weight of the costs. We- the standard poodles and myself--- just happened to be walking past this dead tree as the sun was setting, whilst on a poodle walk. The roadside vegetation along this stretch of road is thinning, and a lot of it is dying. No one cares for the roadside vegetation--only the roads are looked after. The last gasp of winter I wondered? We finished the hanging on Friday morning. Weltraum opens on Sunday, 11th September, at 3pm---a delayed launch due to the various exhibition launches at the other venues on the Saturday and Sunday of the first weekend.